Our..."Hard to keep in Stock"
Some times it's just so hard to keep up with the Rate at which some of our products are sold. When it comes to the Hottest selling products on the market today in relation to neon car lights, your vehicle deserves only the Best of Breed lights available - All listed below. All-neon-car lights.com is a partner of PlasmaGlow, and together we bring you quality and performance at an affordable price. 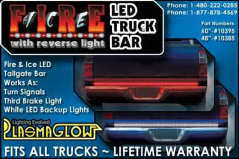 Plasmaglow manufactures many Neon & LED light accessories for cars, motorcycles, trucks and/or boats. 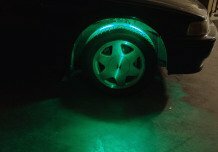 Together, we have a hard earned reputation of having the highest quality Neon and LED lighting products for any vehicle. Just wanted you to know, The Neon kit arrived a couple days ago. WoW... the 4.2 million color LED undercar kit is a beautiful package!! I'm SO impressed with the quality of the kit..
You took the worry away with fast responses to my questions..Thank you! I took the car for a cruse last night,.. Heads were turning.. I'm One happy Customer.. Thanks again for the Super great service Antonio!.. Your 're a star in the Neon World!! Plasmaglow are so confident in their products, that they have backed them with an *Un-Matched* Lifetime Warranty on all neon & LED car lighting products. 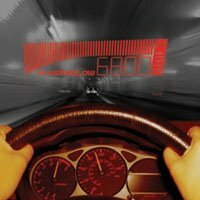 As an industry leader, Plasmaglow is featured in the Electronic Art's game Need for Speed Underground, which has boosted Plasmaglow's car lighting products into the hottest selling car lights on the market today. 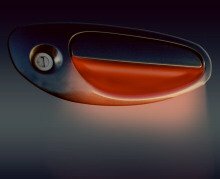 We understand that you'll have some doubts and uncertainties whilst venturing into unexplored territory looking for particular car lighting accessories, and a slow response or inadequate information can be most frustrating. But hey... who are we to argue with the demands of Customers Worldwide wanting to purchase our Hottest selling products listed below?? You be the Judge. $89.95 for a 36 inch / 90cm Strip. On Special! Hurry! This week only. On Special this week only! Hurry! Stocks will NOT LAST! Offers all of the benefits of our 2.1 Million Color LED kit, plus it has over 400 LED’s in the kit, easily making it the brightest undercar Color Changing LED kit on the market!! This Rare, compact and yet "see-through" control panel will allow you to control many of your car lighting accessories from one easy-to-reach location, while at the same time acting as a colorfull and attractive LED lighting accessory for the interior of your vehicle. Features 30 micro-processor controlled LED's for fluid scanning motion. 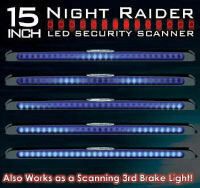 Will scan back and forth and can be used as a 3rd brake light. Fighter jet STYLE switch is self illuminated by LED indicating the switch status. 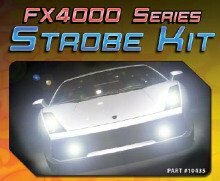 Will allow you to activate ANY 12V car accessory, not just lights! This brand new digital auto tachometer from Plasmaglow allows you to PROJECT your tachometer onto the inside of your car windscreen, plus much more. The kit can stay on 7 different solid colors, just like the old kit did, but you can now cycle through the colors and it fades between them all, creating over 2 million colors. Offers the same color changing patterns and scanning patterns as the 2.1 Million color LED under car kit, and plugs straight into the 2.1 Million color digital control box (sold separately). This set of specially designed micro-LED panels install under your door handle, providing an ultra-bright, color changing glow in an eye catching place. $129.00USD. On Special! Hurry! This week only. The Color changing LED Glostix Tubes can be mounted anywhere in your car, truck, or boat to create a multi-colored light show. $69.99 for a 24" Glostix. Brand New Patent product release from Plasmaglow. First of its kind in the Industry. 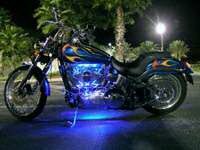 Highlight your bike or ATV's like never before. 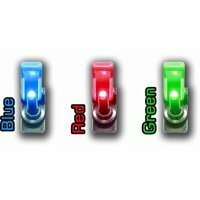 Single Color Micro LED Door Handle kit! 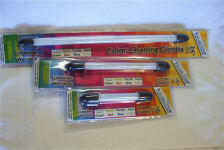 Use the Micro LED Door Handle kit to make light shine where its NEVER Glowed before! Hottest Selling Products- Back to Home Page.